Composed by Sergei Prokofiev (1891-1953). 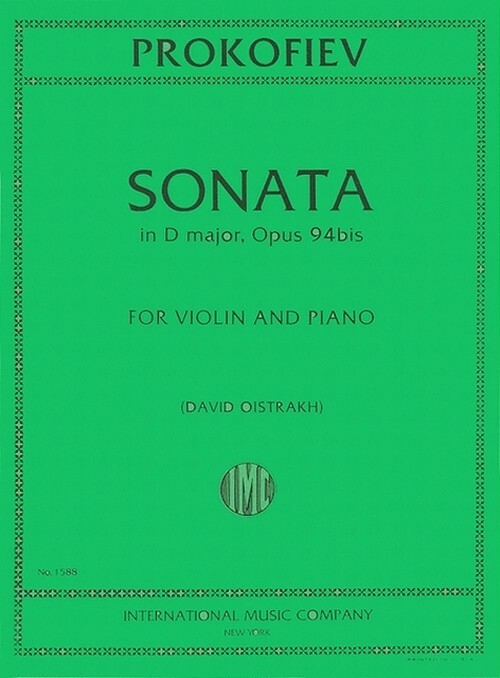 Edited by David Oistrakh. 20th Century. Instrumental solo book. With bowings, fingerings, piano accompaniment and solo part. Composed 1943-44. 51 pages. Published by International Music Company (IM.1588).